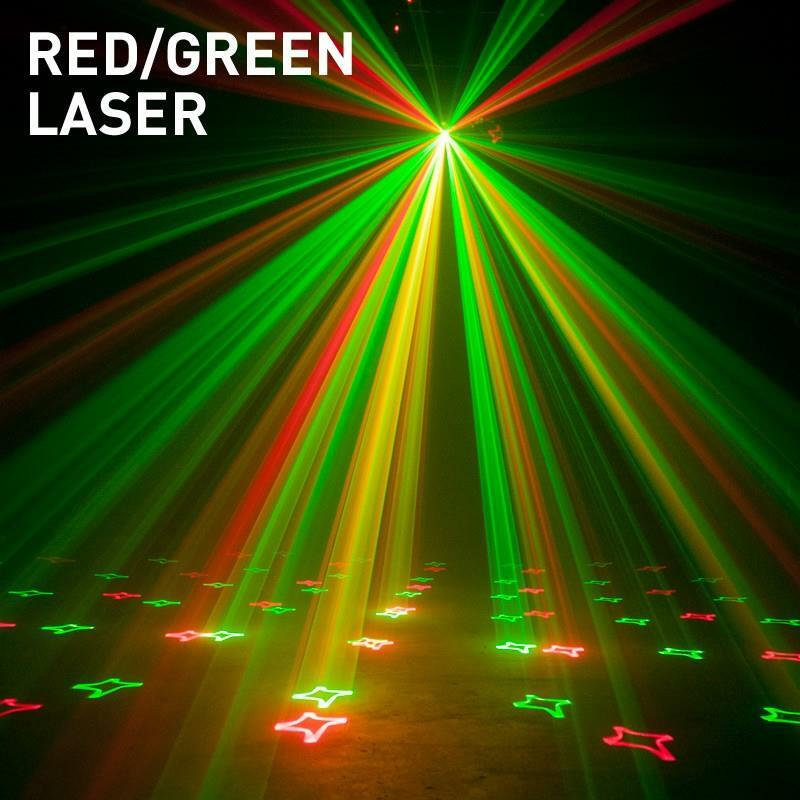 Cover the room in light from the unique party dome, wash the dance floor in colours and mesmerise the crowd with the Galaxian style red and green laser! 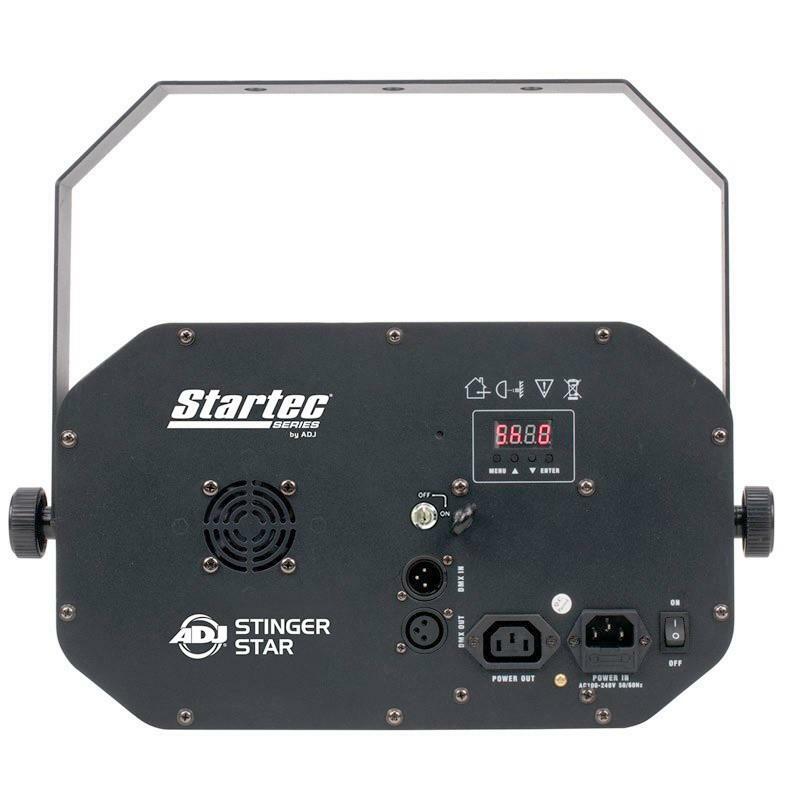 The Stinger Star, part of ADJ’s Stinger Series, helps you create an event to remember! 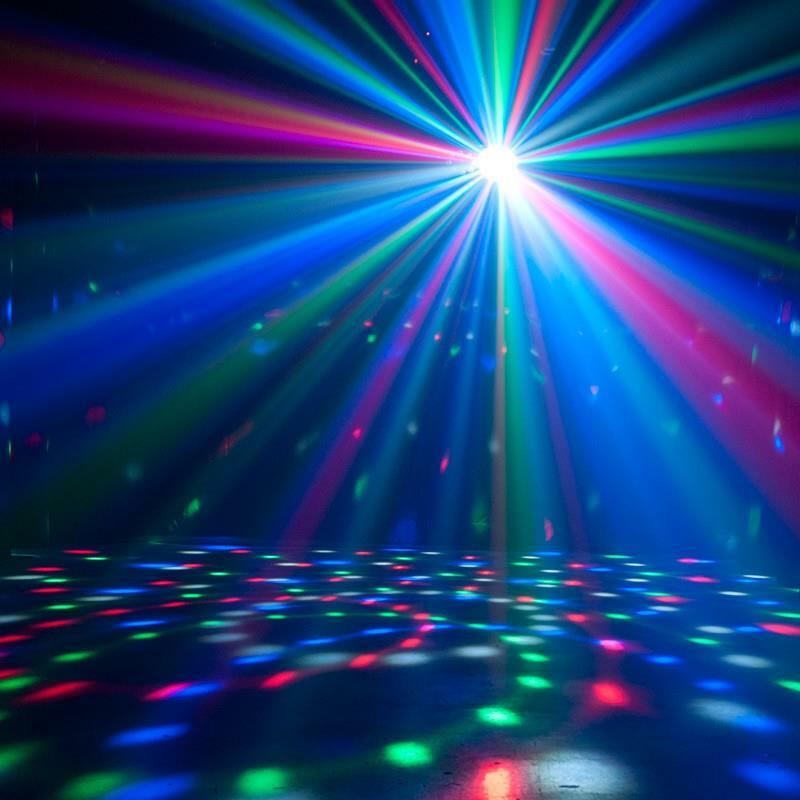 With 3 different lighting effects in one and 6 built-in light shows (unique party dome Moonflower, colour wash effect and a red/green laser effect) you have hours of fun built into one lighting fixture.